Not many psychological scientists can say they’ve undergone extensive flight training, but Tatana Olson can. 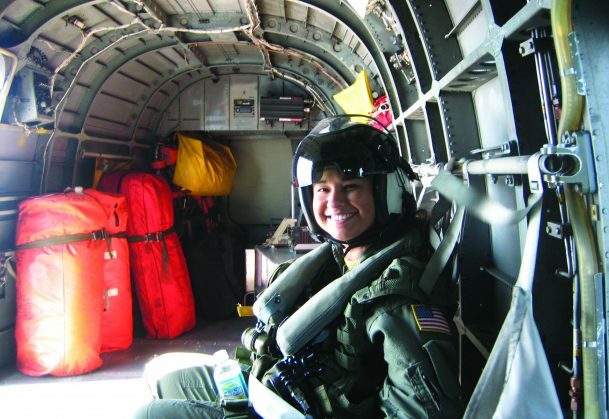 A Lieutenant Commander serving in the US Navy Medical Service Corps, Olson received that training to earn her “Wings of Gold” as an Aerospace Experimental Psychologist, or AEP. She and her fellow AEPs have found that their training gives them a strong standing within the Naval aviation community. personnel selection (maintaining and validating tools to select pilots). An example of this applicability, Olson says, involves the Navy’s transition toward increased use of unmanned aircraft systems (UASs). The existing model for UAS operator selection is to simply use trained aviators. However, as psychological scientists, Olson and her colleagues can ask questions about the important differences between manned and unmanned aviation; whether those differences require separate knowledge, skills, and abilities between pilots and UAS operators; and, if so, how to effectively measure those capacities. “I am currently working on a project with the Office of Naval Research to help answer these questions, which leads to one of the most important things we bring to the table — an understanding of the importance of being able to support our proposed solutions with empirical evidence,” Olson said. 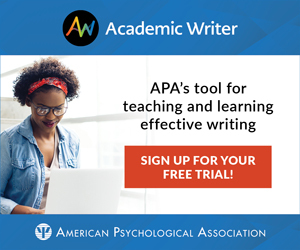 The work of psychological scientists in the military is particularly important when it influences people’s lives outside the lab. Olson recalls her role in 2010 as an advisor on the Comprehensive Review Working Group, a team tasked by the Secretary of Defense to assess the potential impacts of a repeal of the “Don’t Ask, Don’t Tell” law on the military. While many psychological scientists don’t have the resources or time to both conduct research and make sure it is disseminated and applied outside the lab, the military setting is optimal for bridging that gap, Olson said. In fact, Olson strongly recommends that recently graduated psychological scientists — or those looking for a change of pace — consider pursuing a career in the military. Approved for public release; distribution is unlimited. The views expressed herein are those of the authors and do not necessarily reflect the official position of the Department of Defense or its components. Wonderful discussion about our community and who AEPs work for! In my upcoming book, America’s Oldest Professions: Warring and Spying (hard doc copy available free on request), I write about America’s two chronic habits that began with her birth and continues unabated nearly 240 years later. In a chapter titled, The Habit Helpers, I mention among many categories of them the hard and soft sciences, including in the latter examples from anthropology and psychology. I am probably the only Fellow and member of APS to say this, but it seems to me this article of yours is like boasting about your Faustian deal with the political/military/intelligence/industrial Devil. In my last chapter I depict five dismal to disastrous scenarios for America’s future if she doesn’t break those habits. Where will APS stand when we get closer to those scenarios? This commentary is not meant to cast aspersion on Ms Olson. I was once like her many years ago, but not affiliated with the military side of government. I wish her well and hope that someday she comes around to my way of thinking. Excellent article, but was surprised to see that you failed to mention that LCdr. Olsen was but one of many women who fill the position of Aerospace Experimental Psychologists, that was started in 1966 when Ens. Gale Ann Gordon, MSC, USNR became the first women to solo in a NAVY trainer and then the first woman to graduate from the Navy’s AEP program. Philosophy and Psychological Science: Let’s Revive the Cognitive Revolution!